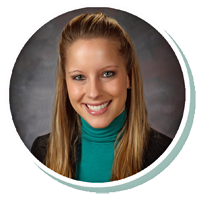 Kayla joined Stearns Bank in 2010 and has held several different positions within the company, including jobs in sales and credit. She enjoys helping small business owners with their equipment financing needs and helping them achieve their dreams. Every time she works with a new customer, Kayla feels like it’s welcoming a new member to the family. She specializes in working with brokers and gets to see a mix of industries that make each transaction special in its own way.